New soundtrack video and a limited offer on film DVDs! Three years ago today, I had the privilege of producing the recording session of two of Marc Sabat’s compositions, Euler Lattice Spirals Scenery and Jean-Philippe Rameau. We recorded for over 8 hours in a beautiful church on the outskirts of Berlin, exhausting ourselves, and the incredibly talented members of the Sonar Quartett. This recording coloured the emotional tone of the film, “The Theory of Happiness” in beautiful and subtle ways. It’s safe to say that the music became another actor in the unfolding drama of the film. I improvised the documentation of the process, and edited it some time ago. 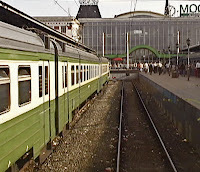 This short is included in the DVDs of the film. Just Sound from Gregory Gan on Vimeo. 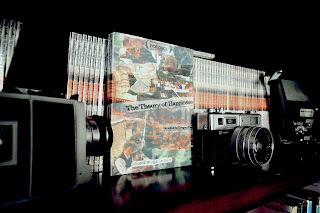 The THEORY OF HAPPINESS DVDs are HERE! The long-awaited DVDs of the film have been released! ***Note that between Aug. 21, 2015 and Sept. 21, 2015, both the regular DVD and the deluxe DVD+CD are discounted. Here's the reason why. If you live in Canada, you can send me an e-transfer via e-mail: theoryofhappiness@yahoo.com (and I will cover postage). If you live outside of Canada, please donate via the PayPal button below, and include $5 for international shipping. Please allow 2-4 weeks for delivery. I'm excited to announce that I have recently made a short film, which has been released online on Monday Dec. 1st. Ghost in the Machine is a self-conscious documentary about bike couriers in Vancouver shot on a mix of DSLR & 16mm film. It is a cine-poem, linking urban labourers, modes of transport and bike culture through cinematic means. If you like the film, please repost or share the link. For a longer description & credits, or to watch the film in Full HD, please see the Vimeo page. The Theory of Happiness will get its World Premiere at Hot Docs Film Festival 2014! I am thrilled to announce that "The Theory of Happiness" will be part of several films in this year's Canadian Spectrum competition at the Hot Docs Film Festival 2014! I feel very privileged that the film has been accepted into the festival and the competition. If you live in Toronto or area, check out the screenings, and save the dates! You can already buy tickets at the Hot Docs box office online. 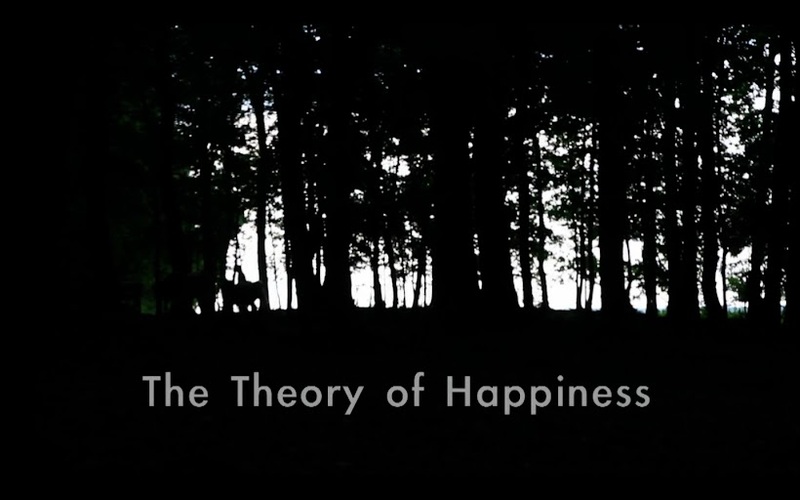 I am excited to share with you a new The Theory of Happiness trailer! We are anticipating an exciting announcement in the next few weeks, so check back for news and upcoming events. The Theory of Happiness Trailer 2014 from Gregory Gan on Vimeo. I am happy to announce some news concerning the film, "The Theory of Happiness." As of December 16th, the film is picture-locked! This brings us one step closer to the finished film, as I am awaiting news from several film festivals, and continuing to work on the finishing touches. This step could not have been reached had it not been for my super-dedicated and talented editor, Terezia Mikulasova. 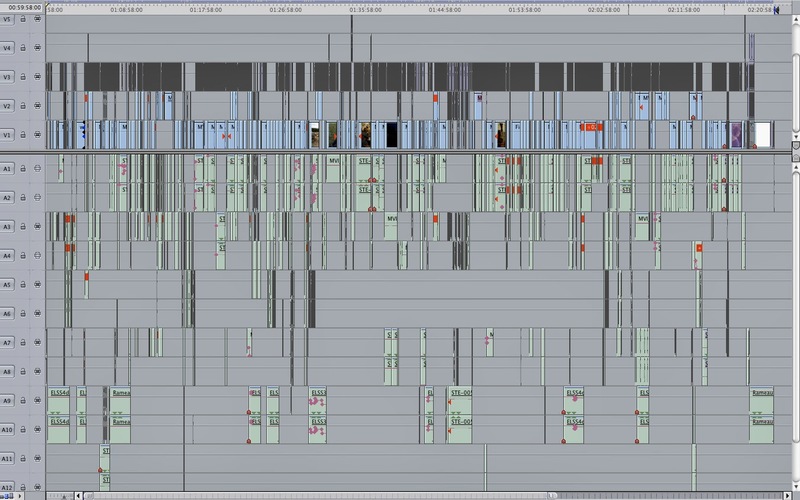 This also means that we are at a new stage of work - designing sound and correcting colour, and I have entrusted several people much more competent than myself to bring the film to the final cut. One of those people is Konrad Skreta, with whom I worked with on the previous film, "Turning Back the Waves," and who is a professional sound designer with over two decades in the film industry. The projected timeline is about a month from the date of this post (January 15), when I will have screeners ready to send out to film festivals, and to those who supported the film. I hope you remain patient, and soon enough, we will have a finished film to distribute to anyone interested in delving into the darker side of happiness. To those of you who have been keeping track of the progress of "The Theory of Happines," you will remember that last summer, I had the privilege to record the film's soundtrack with a remarkable composer, Marc Sabat. Tonight, on 4'33", a new music show that I host on CiTR 101.9 FM, I had the opportunity to catch up with Marc over a long-distance telephone chat, Vancouver-Berlin. Check out the podcast on the show's RSS feed, or click on the 4'33" tab above, to listen to several of Marc's recent works, and hear him talk about his theory and inspiration behind the music. For the last four months, I've been hosting a radio program dedicated to new music in Canada called 4'33" (after John Cage's famous work by the same name). 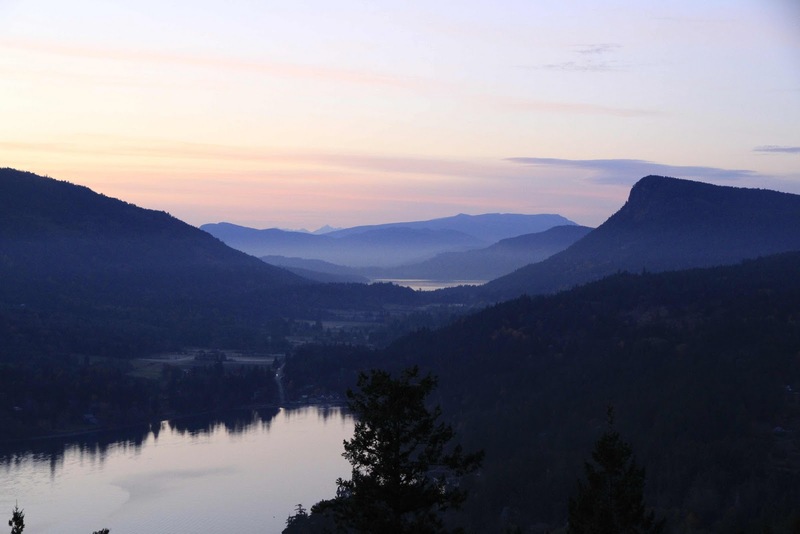 This program showcases "new music" – contemporary classical and experimental music, especially highlighting Vancouver's local performers and composers of new music. Occasionally, I invite guest composers and performers to visit the station and perform live, or talk about their music. You can listen to the program on CiTR, 101.9 Fm in Vancouver, on Mondays, between 6-7pm. Or, you can listen or sign up to the podcast via our RSS feed. Just click on the link below! Please forgive the long silence: Here are the formal acknowledgments of all the amazing people who supported this film as part of the INDIEGOGO campaign held last summer, which allowed us to record the soundtrack to the film. Have no fear, I have been vigorously working on the film "The Theory of Happiness." Of course, the North American model of film production is just slightly different from the European model, so in order to stay afloat and compensate, at least symbolically, those who are helping me with the project, I had to work wage jobs that ranged from barista work, to English tutoring and bike couriering. I have also started a Ph.D. program at the University of British Columbia, which has kept me busy for the last eight months. Nevertheless, my editor and I have been getting together religiously every Monday (or Tuesday), and working away on the edit. Our sound engineers are getting restless, as are our colour correctors, etc, etc. But we are getting closer and closer, and come spring time, we will hopefully reach that elusive goal of a picture lock! I was fortuitous enough to find an editor who is also an animator! Over the past three months, we have been designing animation for certain parts of the film, such as the opening titles. You will not be disappointed by the wait. UBC Seminar and Preview of "The Theory of Happiness"
I will be giving a seminar and showing a 25-minute preview of the film-in-progress, "The Theory of Happiness," at the University of British Columbia this Friday, April 27. I will be presenting as part of a seminar series of the Eurasia Research Group at UBC. Hope to see you there, and hope you ask me some tough questions! 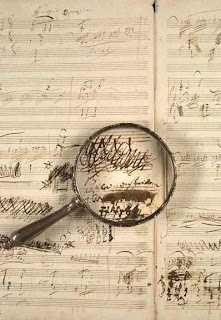 Today, I have started a fundraising campaign in order to raise funds to record a quartet composed by an internationally-renowned composer, Marc Sabat, who has agreed to record original music for the film. I am currently talking about the possibilities of an original score for the film with a distinguished Canadian composer of contemporary music working and living in Berlin. When I first heard his music, I immediately knew the match was perfect. His intonations are in perfect synchronicity with the mood that I want to convey in this film, and we are currently trying to figure out which compositions will be best-suited for different scenes, and how we would go about recording them. There is a chance that I will go to Berlin this summer, to record a quartet play his music in a church. Until then, you'll have to wait for the reveal. 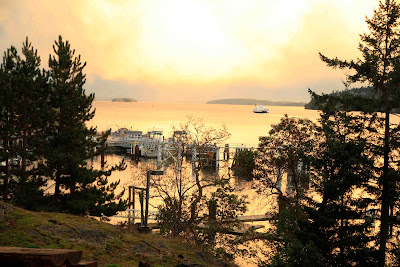 I am happy to announce that The Salt Spring Arts Council has awarded "The Theory of Happiness" a generous professional development grant. This grant will facilitate work with an editor, and assure the completion of a rough cut of the film. I am also pledging a personal donation to match the award, in order to continue my work on the "Theory of Happiness." Since the last update, my partner and I have left St. John's and have relocated to British Columbia! We have settled to live on a beautiful island, in a forest, with deer visiting our backyard, and a hammock on our deck. In other words, a perfect place to edit a film! Our sendoff and the DVD release were a wonderful way to leave the province-our guests were very warm and supportive. We took the train across Canada over a period of a month, staying with friends and relatives along the way, and doing some filming from the window of the train. During our travels, many people have contributed to my fundraising efforts, and if you have not received a complimentary copy of my last film, please hang on for a little while still - it's in the mail. Thank you for your donations, they are very much needed, and appreciated!